CKF Hire - Container Kitchen and Fridge Hire Ltd. Mobile Catering Units. Portable Refrigeration and Catering Equipment Hire. We have a selection of towable fridge freezer trailers. These units powered by a single phase 16 amp supply are very versitile, suitable for a wide variety of uses including Location Catering, Film Catering, Promotions, Event Catering and Festival Catering. These trailers can be towed by a jeep or car and Food Safe Shelving is available as an option. Trailers are secure and lockable. At CKF Hire we have three sizes of Walk-in Cold Rooms which can be set as fridge or freezer. Refrigerated containers and Towable Fridge/Freezer trailers are also available. All cold rooms/container and trailers can be delivered with Food Safe shelving as an option. Power requirements vary but most units can be run on single phase. At CKF Hire we offer solutions and advice to those planning roadshows. 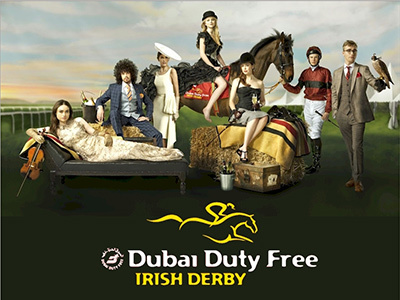 For all New Product launches, Sampling Campaigns or Promotions we ensure your project runs smoothly, professionally and with a minimum amount of stress. 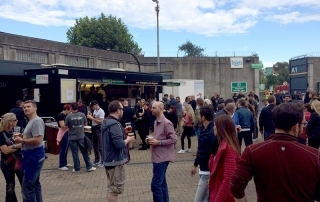 We provide a range of mobile options for Mobile Catering Units, Mobile Kitchens, Merchandising Units, Mobile Shops, Mobile Kiosks and Mobile Pods. In addition, we offer Storage, Transport, Maintenance and Cleaning Services. At CKF Hire we have a fleet which includes 3 sizes of Portable Kitchens, Preparation Kitchens, Dish wash Units, Walk–in-cold rooms, Dry Goods Stores, Staff Changing Rooms etc. These Units are suitable for many different tasks. During Kitchen Refurbishment, for Emergency Cover i.e. 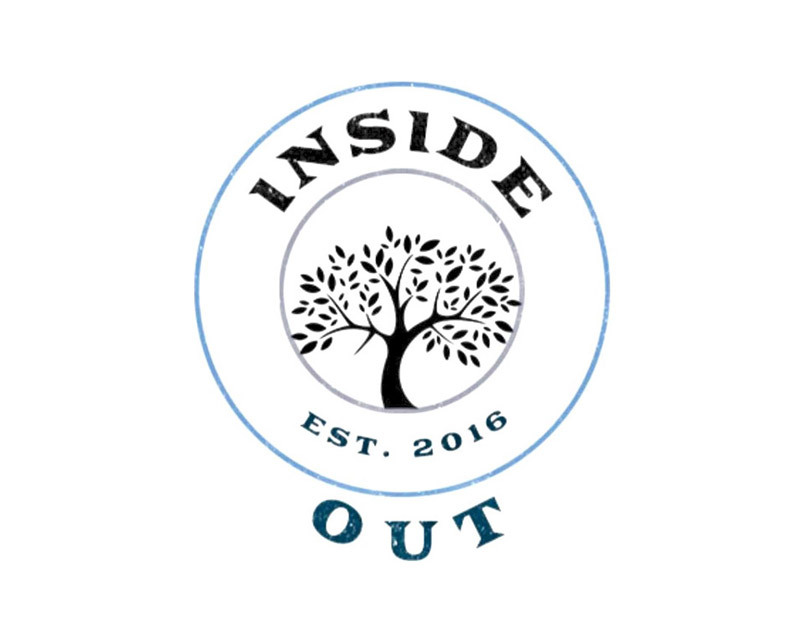 when fire strikes etc., for Peak Seasonal demands, For Events, Construction Site Canteens, Pop-up Restaurants, indeed anywhere where a Kitchen is required. From a Stand Alone Kitchen to a Multi Unit Complex, we have the solution to meet your requirements. The ideal option for those who need a quick and flexible solution to their catering requirements. Our mobile kitchens are equipped with heavy duty catering equipment are robust and can be towed into positions where access is tight and ground conditions are challenging. Most suited to Film Catering, Location Catering, Construction Site Catering, Event and Marquee Catering. Our kitchens are built to comply with all current health and safety standards and can be self towed if required by Jeeps or light commercial. We stock a vide variety of Catering Equipment for hire, ranging from heavy duty kitchen equipment, loose refrigeration, hot holding equipment, combo ovens, modular servory runs, gastronome friges, insect killers, dish washers, pot wash sinks, water boilers, indeed anything required for a Marquee Kitchen, tempory Kitchen or replacement Kitchen. 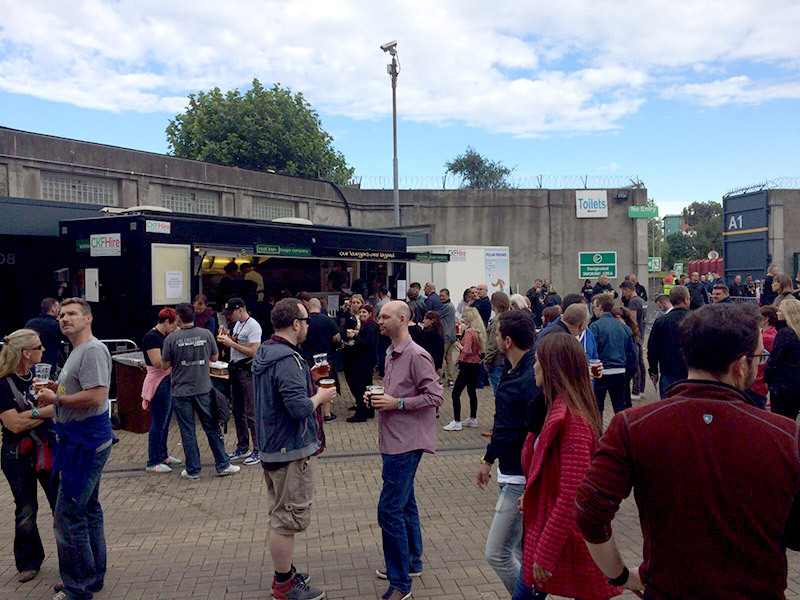 Our Container Kitchens are perfect for Refurbishments, Events, Film Location sets, Construction Sites, Sports Events or Festivals. Our customizable Kitchens will allow a team of Chefs produce restaurant quality food in any location no matter how difficult or demanding. 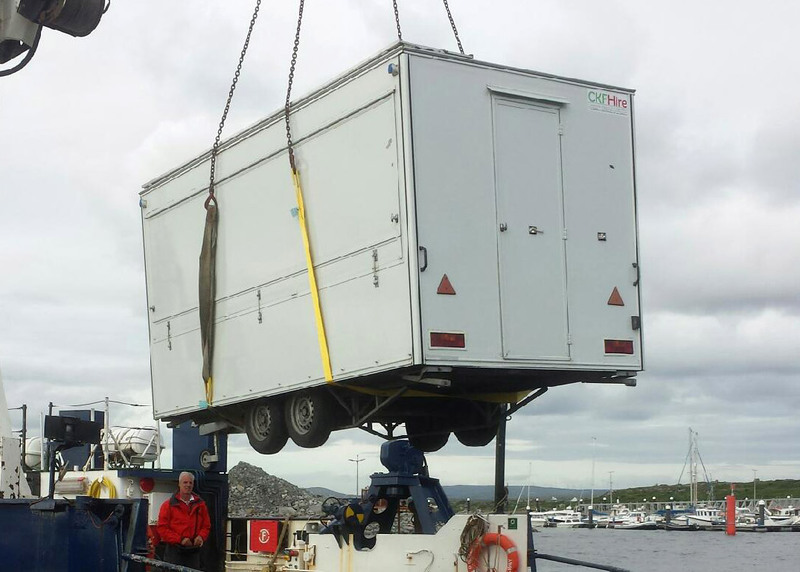 Our temporary kitchens are very versitile and suitable for a wide range of applications. Kitchens can be customised with equipment to suit each clients individual requirements with a wide range of catering and refrigeration equipment available for instalation. Container Kitchen and Fridge Hire ltd. (CKF) the Irish provider of Mobile Kitchens, Portable Kitchens, Cold Storage, Catering Equipment Hire, Towable Fridge/Freezer Trailers, Event Kitchen Hire, Kitchen Equipment, Exhibition Refrigeration, Mobile Catering Units, Merchandising Units, Sampling & Product Launch Units, Wedding Kitchen Hire, Mobile Shops/Mobile Kiosks and Incubator Kitchen Hire. Different situations require different solutions. At CKF Hire we have developed a series of units to cater for every contingency, from a Stand-Alone Kitchen to a multi Unit Modular Complex, be it for Kitchen Refurbishment, Extra Capacity, Event Catering, Location Catering, Cold Storage, Mobile Catering or Film Catering we have a solution to suit your requirements. We also hire loose items of Commercial Catering and Refrigeration Equipment, and our fleet includes 3 sizes of Production Kitchens, Mobile Kitchens, Fridge/Freezer Trailers, Refrigerated Containers, Dishwash Units and Preparation Kitchens. Our Equipment is available for long or short term rental and all Units are equipped to suit individual client requirements prior to delivery, which is by way of Hiab Mounted Trucks thus saving on costly extra crane hire. Mobile Kitchens and Mobile Fridges can be self towed by arrangement. 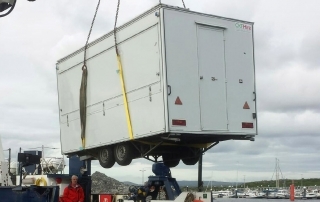 Our Units are purpose built and are designed to comply with current Irish Health and Safety Standards. We are happy to undertake pre-hire site visits to advise on the options available and we offer technical support and back-up during installation and throughout the hire period. Most of our units are Modular in design and can be linked or stacked when space is restricted. The CKF Hire Service does not end on delivery, and we provide inclusive demonstration and Equipment Training. Service Contracts are available, an option often taken up on long term Rental agreements. At last weeks big homecoming U2 gig in Croke Park, Aramark the Stadium Caterers, again augmented the Stadiums Catering Outlets by contacting CKF Hire to provide extra temporary Facilities strategically positioned to serve concert goers who were viewing the performance from the Pitch. The recent Guns and Roses Concert was held at Slane Castle. 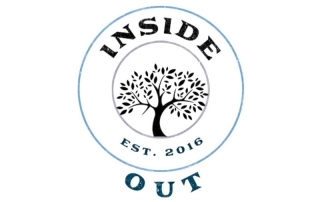 Concert promoters MCD appointed local restaurant Inside Out to the very important task of feeding some hundreds of Gardai on duty around the Event. Working in shifts the Guards were fed from early morning - late into the night. The Red Bull Cliff Diving Championships returned to Inishmore on the Aran Islands on June 17 following successful visits to this stunning location in previous years. 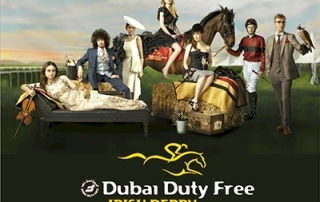 The Dubai Irish Derby Festival is taking place at The Curragh Racecourse, home of the Classics. 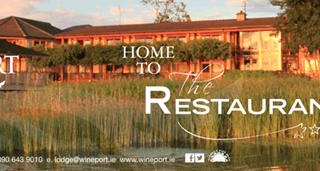 Here at Wineport Lodge, quality and service are the hallmarks of our guest experience. It's essential to work with partners that share the same values. 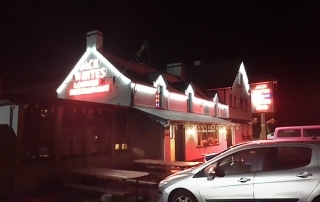 Wicklow's favourite roadhouse Jack White's on the N11 has experienced a steady increase in trade in recent years, especially in its Gastro food offering. 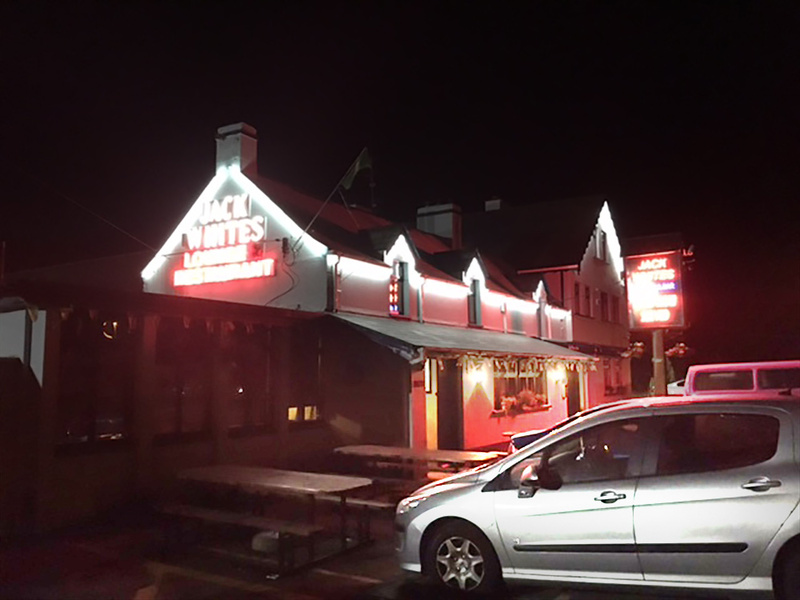 Proprietor Tadhg Kennedy realised that a kitchen upgrade was required to service this increased patronage. CKF Hire, the Irish provider of Mobile Kitchens, Cold Storage, Portable Kitchens, Portable Refrigeration and Catering Equipment Hire.